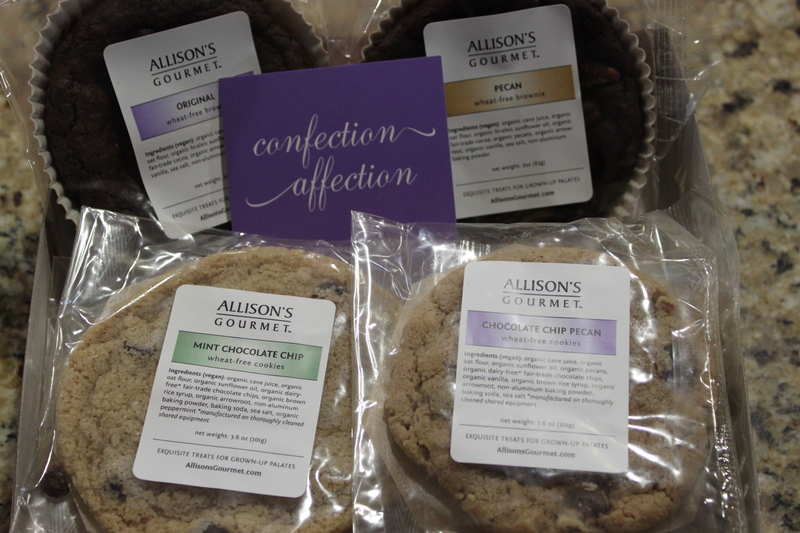 Birthday Cookies and Brownies – Allison’s Gourmet Delivers! I think that if we had a contest, my family would win at being the most awesomest in the whole wide world – mostly because I have peeps in my family who send me fabulous birthday treats like a box of cookies and brownies from Allison’s Gourmet. I have been meaning to try out these delectable delights for well over a year now, and it is as if someone read my mind. I can’t wait to dig into them – I’ll update this post with a review – but in the meantime, I’ll leave you with a picture so you can be jealous. Previous CSA Delivery – April 11, 2012 – Basil!!!! Next CSA Delivery – April 25, 2012 – Basil again! So far, the mint choc chip by far – I still have to try so many other flavours!